Before the Daniel Fast, I would not have even considered ordering the Lentil Quinoa Bowl with chicken from “Bread Co,” that’s what we call Panera Bread here St. Louis. It’s broth based and only 410 calories and 34 grams of Protein. It was tasty and filling. It was nice to have something made with good wholesome food. 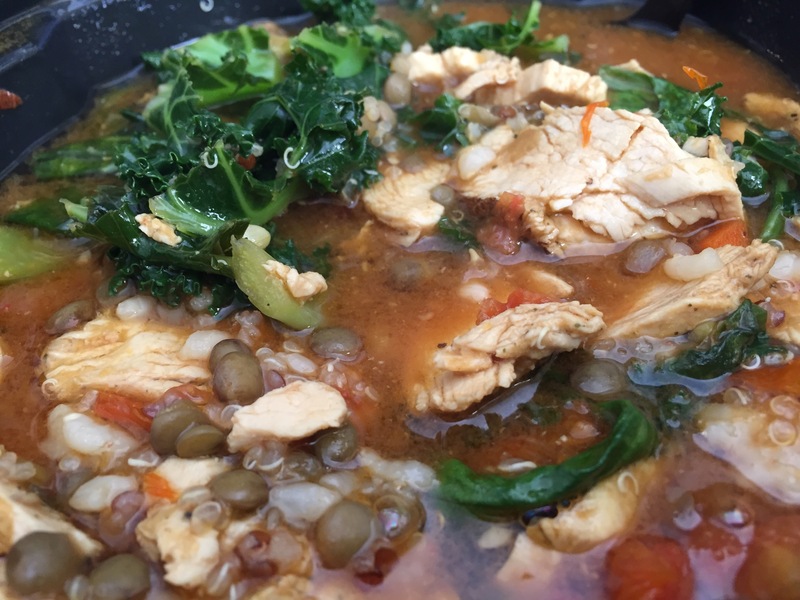 It’s made with chicken raised without antibiotics, organic quinoa and organic brown rice, lentil blend, tomato sofrito, fresh kale and spinach with a lemon wheel in umami soy-miso broth.